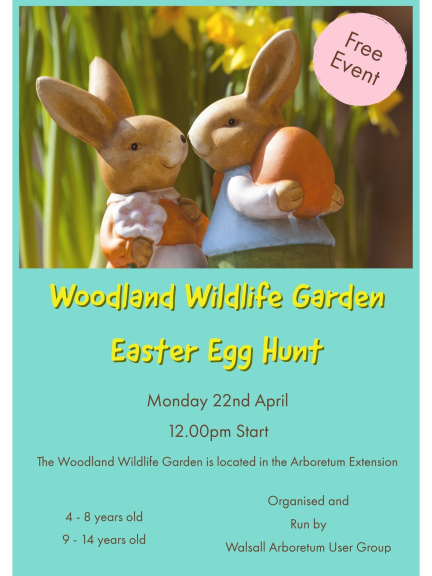 The traditional Easter Egg Hunt will take place in the Woodland Wildlife Garden in Walsall Arboretum on Monday 22nd April! Starting at 12:00 midday for up to two hours. Children from 4 - 14 years can follow clues to search for chocolate eggs in the Wildlife Learning Garden which is on the path between the Grange car park and the children’s playground. Organised and run by the Walsall Arboretum Users Group.